This next deal will have you smiling from ear to ear. An office supply store may not be your first destination for oral hygiene products, but maybe it should be. 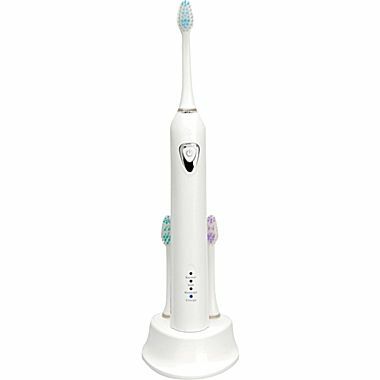 Staples is currently selling the Crystal Care Professional Sonic Toothbrush in white or black for only $34.99 (regularly $179.99). That’s an impressive savings of $145. Shine up your pearly whites with the toothbrush’s 31,000 strokes per minute. The product also boasts three brushing modes, a two minute timer and six weeks of battery life on a single charge. This deal expires on Jan. 27.